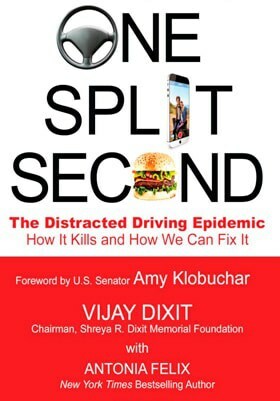 The Shreya R. Dixit Memorial Foundation asks that you Pledge to drive distraction free. I PROMISE… To remember that everyone on the road is someone’s sister, brother, mother, father, daughter, son or friend. To keep my eyes and mind on the road at all times. TO PROTECT YOU.